Kit your table out in bistro chic! A trendy set of four placemats from Denby. 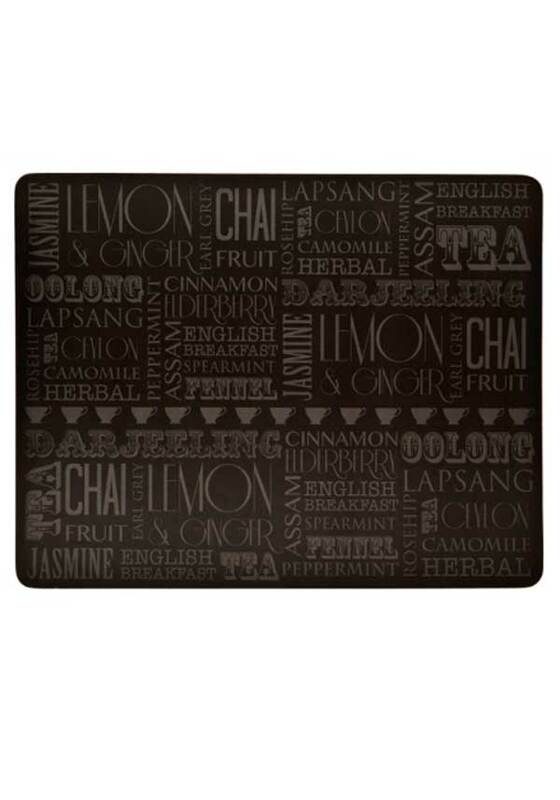 Featuring a tea themed word art print, on a blackboard look placemat. Backed with cork for grip, these will protect your table from spills, drips and heat.